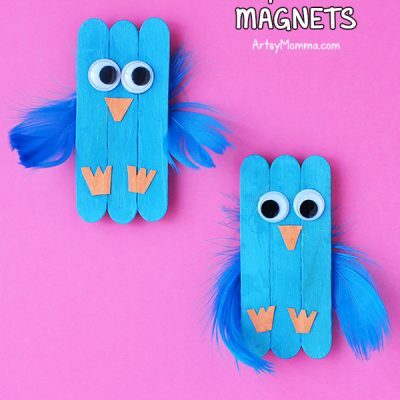 When Big Brother was in preschool, they made the cutest crafts. 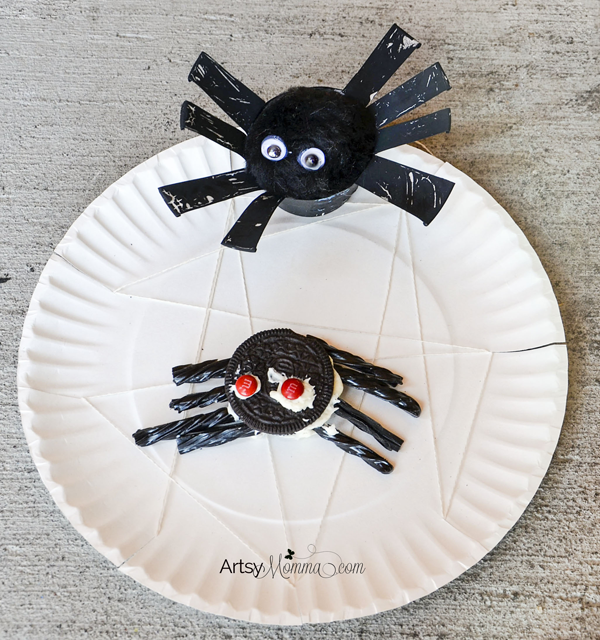 While normally I wouldn’t consider spiders cute, these fun projects I am sharing with you today are not scary and way too cute! 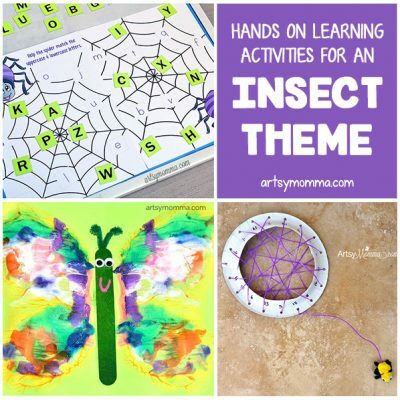 This preschool spider theme incorporates art, fine motor skills, scissors skills, and even a creative snack idea! 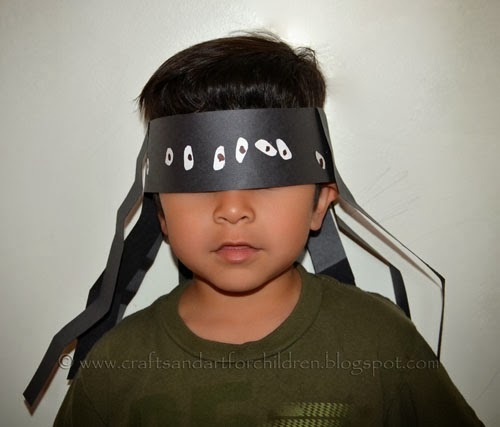 The jumbo pom pom spider craft is made with a cardboard tube (such as a tp tube, loo roll) and googly eyes. The paper plate web is made with slits cut into it and white string threaded through it in different directions. Sitting on top is a fun oreo spider snack! Frosting acts like glue to stick on the m&m eyes and black licorice legs. Any kind or small circular candy would work for making the eyes. While Big Brother is not a fan of black licorice, red licorice or stick pretzels would work too. 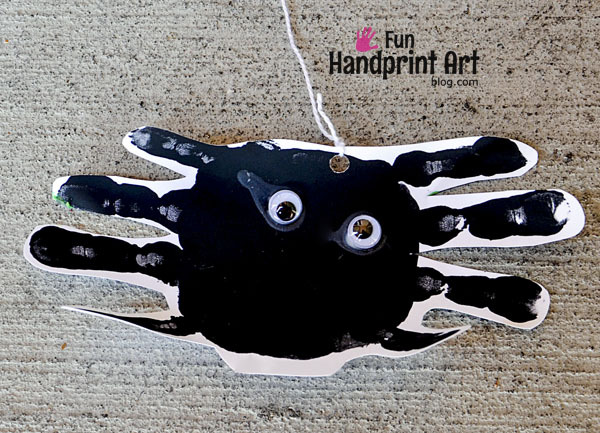 We originally posted this handprint spider on our Fun Handprint Art blog. I love how the teacher cut around the handprints and attached it to string. How creepy is it that spiders have 8 eyes?! I actually didn’t even know this until he came home wearing this spooky spider hat! The band can be connected with staples, glue, or even tape as well as the 8 legs which are folded accordion-style. I love how he pulled it down over his own eyes….haha! This is really cute! I am going to pin this to my letter s board -what a great way to teach the s sound! That spider hat is the COOLEST! Definitely going to try that one with the kiddo soon.